3 Churches in Cardiff | Official website for Christ the King, St Paul's and St Brigid's R.C. churches in Cardiff, UK. Download our 3 churches newsletter (double edition) for Easter 2019. The Christ the King Toddler group will reopen after the Easter break on Monday 29 April 2019 at 9.30am in the Christ the King parish centre. Download our 3 churches newsletter for Palm Sunday, 14 April 2019. Earlier in Lent we heard in the parable of the Prodigal Son of our God who runs to us. Several times people ran up to Jesus in the Gospels, and sometimes they ran to tell others about Jesus, like the swineherds. This week we will witness the disciples running away from Jesus when He is arrested in the Garden of Gethsemane. But l think the most important instances of running in the Gospels happen early on Easter morning. Matthew 28, Mark 16 and John 20 all speak of Mary Magdalen running from the empty tomb to tell the Apostles. Then Luke 24 and John show us the wonderful image of Peter and John racing each other to get to the tomb first. What are these moments telling us? The Father of the Prodigal Son cannot wait to embrace his returning son, such is his loving and merciful heart. Those who received miracles from Our Lord often could not wait to tell others, broadcasting it around the countryside. The fact the apostles ran away shows us the weakness of our humanity under stress – would we have done any different? Then on that first bright Easter morning Mary Magdalen and the women became the first preachers of the Easter Gospel, so anxious to tell others. And finally Peter and John make a dash together for the Easter Space – the Empty Tomb. The energy this experience gave them, with the power of the Holy Spirit, would take them and the Church across the face of the globe. And so here we are, celebrating these events this Holy Week. We have inherited that Good News, we are its guardians and “transmitters” for our times. Will we run away? Or will we come together this week and hasten to the Easter Garden to be revived, re-excited? Then, like Magdalen, Peter and John we must run to our world to share the Good News. 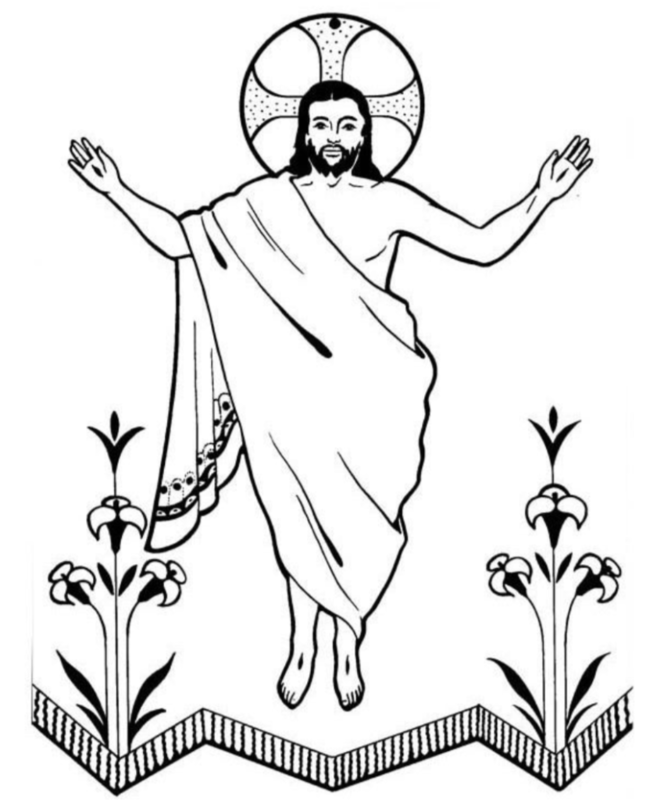 Please take a Holy Week poster for your front window, and an Easter card. Download our 3 churches newsletter for the 5th Sunday of Lent (year C).